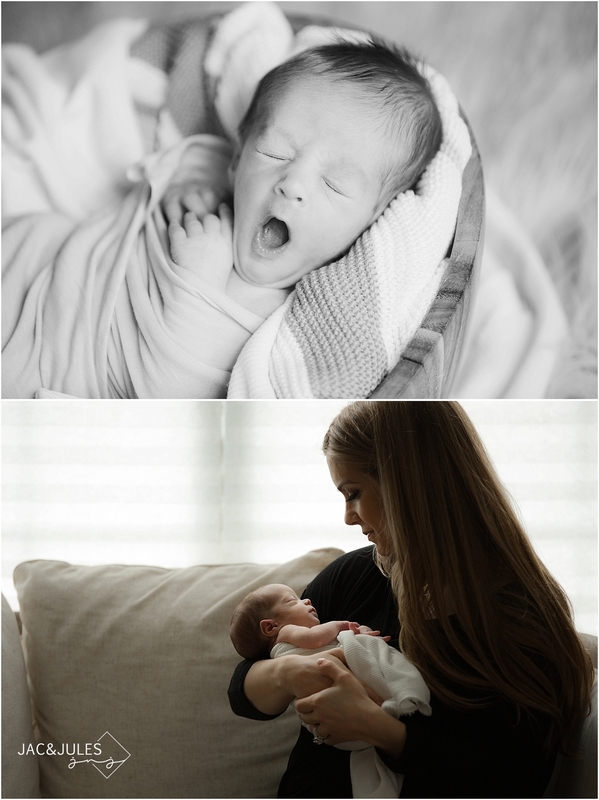 NJ Twin Baby Photographer | Welcome Massimo + Marciano! We have been anticipating their arrival for what feels like forever and now they are here! Two adorable twin baby boys, Massimo and Marciano. When Torrey called me and told me she was pregnant and was looking to do announcement photos, I couldn't have been more happy for her! Like, over the moon happy for her. It's always nice to see good things happening to old friends in high school! After the announcement photos, we photographed her baby shower where Antonio proposed to her. That man sure knows what he's doing proposing in a room full of women who love her dearly. It was an amazing thing to witness! Now they are blessed with two perfect, beautiful babies. These babies are so in sync with each other, so much so that they both smiled for the same individual pose shot the same exact way. Insane (make sure you scroll down to see)! Looking forward to documenting more milestones in their lives! INTERESTED IN BOOKING A SESSION? WE SHOOT ON LOCATION PRIMARILY USING NATURAL LIGHT AND THE RESOURCES AROUND US AND WE TRAVEL ALL OVER! WE PHOTOGRAPH PRETTY MUCH EVERYTHING FROM FAMILY TO MATERNITY AND BABIES, TO ENGAGEMENTS AND WEDDINGS. CONTACT US HERE!